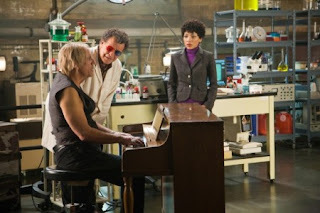 Fringe, which featured Christopher Lloyd as a guest star, delivered 4.9 million viewers and a 1.9 preliminary adults 18-49 rating last night. That’s right in line with its Thursday season average. Remember, Fox’s Kevin Reilly said if the show maintains its Thursday numbers on Friday, he’d renew it, so let’s hope the drama can keep this up. The drama has gained an additional 42 percent thanks to DVR playback after only three days of Nielsen measurements. Tonight was supposed to be the big test, with new episodes of Supernatural returning, but it looks like that will have to wait one more week, as the CW pushed the Supernatural (and Smallville) returns to February 4. Like EW's Jeff Jensen, I will of course be watching Fringe live, and don't plan on watching Supernatural at all. But what about you? How will you watch Fringe and/or Supernatural? This story has developed so beautifully in the last few hours. 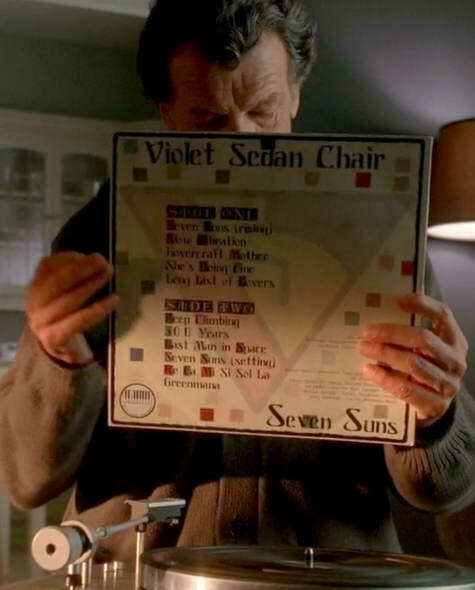 I was getting ready earlier this afternoon to post an update on the search for the fabled album,"Seven Suns" by Violet Sedan Chair, which Michael Aussiello had posted about two Fridays ago on his TV Line website. (See Dennis's post here at FT dated 01/07/11). 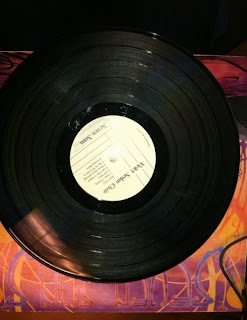 We were told the powers that be had made slightly different versions of this vinyl album and 'planted' them at independent record stores around the country, and "that they've been in stores for a couple of months now." Now, I happen to know that last statement is not quite correct. On January 7th in the AM when the TV Line story hit the net, my second call at 10AM Eastern was to the popular Boston-based record chain, Newbury Comics. A man there said they had had 1 copy of "Seven Suns" by Violet Sedan Chair but it was sold a few months ago. Talk about a hit and a miss. And on the same morning a nice manager at Worcester's "That's Entertainment" store started an all-out search for "Seven Suns." Five days later he called to tell me he'd checked every single record distributor in the country and come up empty. But I couldn't rest there. On January 11th I paid a little visit to my closest Newbury Comics store. As of that date that was the closest anyone had come to finding a "Seven Suns" copy and I wanted a confirmation. The young man looked it up in the computer but told me it was sold in "used" condition two years ago. I must have looked shocked as he proceeded to call the manager of distribution who confirmed this. 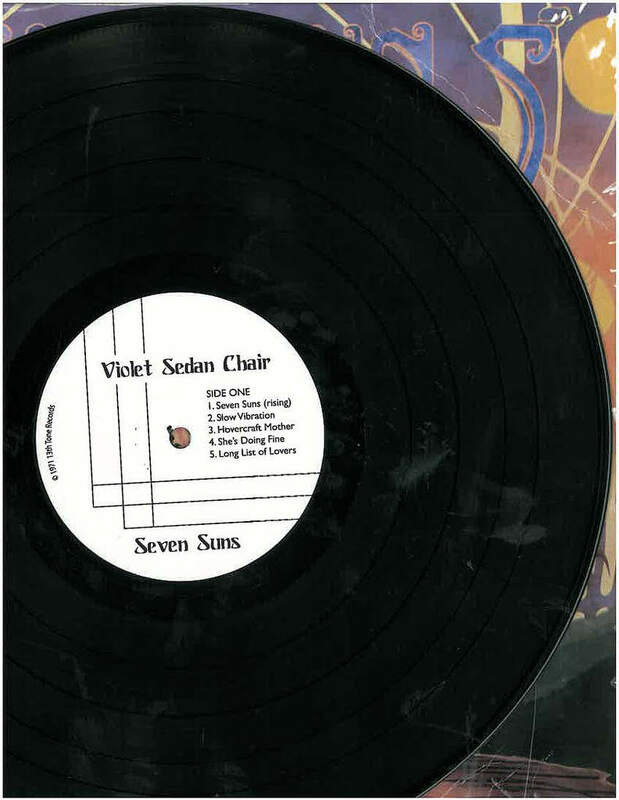 So the "Seven Suns" albums by Violet Sedan Chair were placed into the record stores two years ago?! That's not quite the same as "been in stores for a few months now." This timeline also is eerily reminiscent of the famous JJ Abrams' article in Wired magazine titled, "JJ Abrams on the Magic of Mystery," which is from 04/20/09(about 2 years ago). In page 1 of the article Abrams explains that looking through the wooden bins in the music stores is a lost art, and that it's not about the ending to something but about the journey along the way. Hmm. Like looking for copies of "Seven Suns" around the country. But I'm happy to say the "Seven Suns" update doesn't end here. We apparently have an unconfirmed winner, but it sure looks like it. 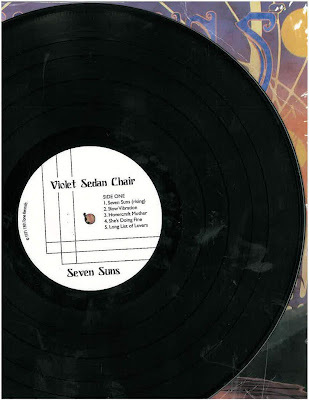 A person named Kiki Kane posted today that she found a copy of "Seven Suns" by Violet Sedan Chair at Easy Street Records in Seattle, Washington. Actually, she said there were 3 of them in the discount bin and she got the last one. This is huge. If you click on the link below you can see the cover. If you click on the other link below you can listen to 5 songs form the album. And I've even included my friend Danielle's link in which she's listed the lyrics to "She's Doing Fine." Does all this give you a happy feeling? I hope so. Does it make you want to keep hunting for the similar but different copies of "Seven Suns" that may still be out there? I hope so. And I hope that person who bought the copy of "Seven Suns" from the Newbury Comics' Boston store steps forward so we can view it . 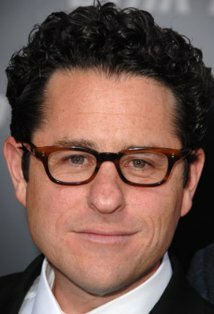 Remember, JJ Abrams wants you to come along for the ride. 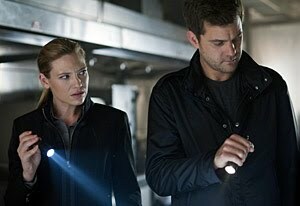 "Fox's 'Fringe' not going gently into Friday night"
Fox's 'Fringe' not going gently into Friday night From left, Lance Reddick, Blair Brown, Joshua Jackson, Anna Torv, John Noble and Jasika Nicole star in "Fringe," which is moving to 9 p.m. Fridays on KVVU-TV, Channel 5. Remember "The X-Files"? The guy from "Californication" and the redhead chasing little green men nearly two decades ago? That was the last time Fox made any real noise airing sci-fi on Fridays. 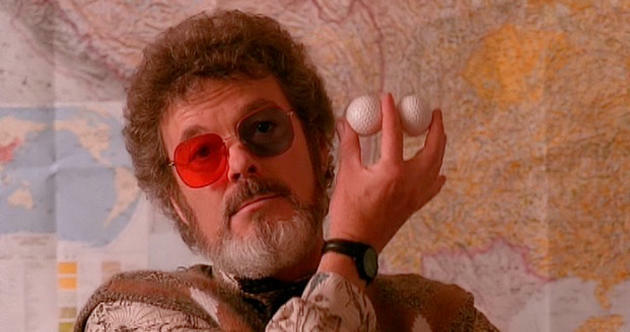 "Sliders." "Millennium." "The Visitor." "Harsh Realm." "FreakyLinks." "Dark Angel." "Firefly." "John Doe." "Terminator: The Sarah Connor Chronicles." "Dollhouse." Since the mid-'90s, Fox Fridays have done more to break the hearts of nerds than school dances and Jar Jar Binks combined. Yet that 0-for-15 years streak isn't keeping Fox from hoisting its critically acclaimed "Fringe" (9 p.m. Friday, KVVU-TV, Channel 5) onto the altar of bad scheduling and setting it ablaze. At the beginning of the season, and for the first time in years, the networks were putting actual effort into programming Fridays. It looked for all the world as though there might be a renaissance on the night given all the series headed there. But four months later, only The CW's "Supernatural" is really taking hold on its new night. Fox's "The Good Guys" bombed. NBC's "Outlaw" crashed and burned. Fox's "Human Target" and CBS' "Blue Bloods" both escaped to Wednesdays. And ABC pushed Dana Delany's "Body of Proof" from last fall all the way to March 29 just to get it away from Fridays. So why move "Fringe" there when it was putting up solid if unspectacular ratings on Thursdays, the toughest night of the week? To make room for "American Idol" (8 p.m. Wednesday and Thursday, Channel 5). A fixture for years on Tuesdays and Wednesdays, "Idol" kicks off its 10th season by shifting back a day. On the surface, the move lets Fox get a bigger piece of the lucrative Thursday ad budgets as movie studios make their last-gasp efforts to reach viewers before the weekend. But it also allows "Idol" to get its performance shows out of the way of the "Dancing with the Stars" results shows, and it positions Fox to be able to blame the expected ratings drop-off on the new night instead of the loss of Simon Cowell. Remember "The X-Files"? 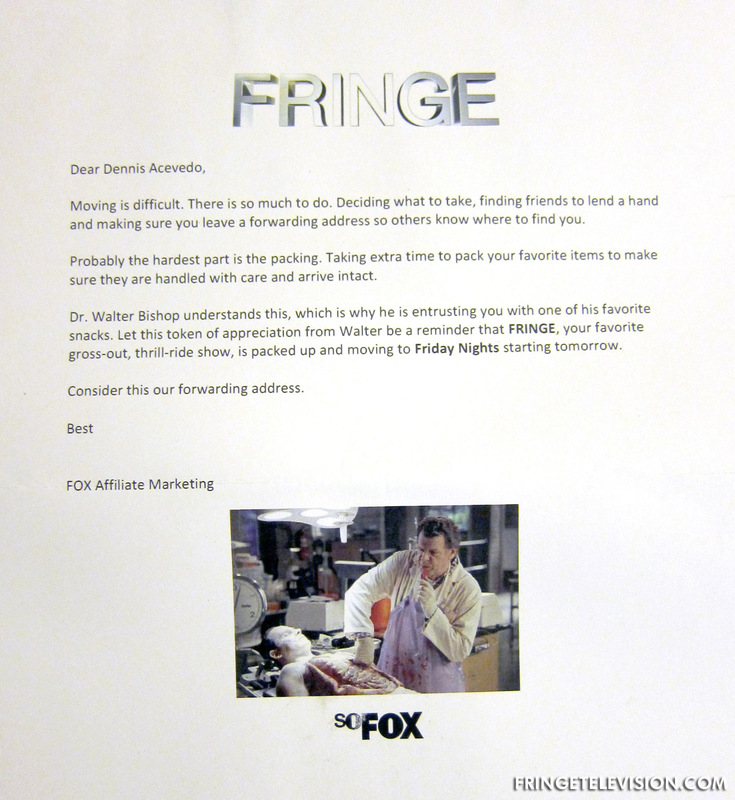 It was hard not to when "Fringe" launched in 2008, with its coed duo investigating seemingly impossible phenomena under the auspices of the FBI, with a taciturn, bald boss running interference for them. But the drama, from "Lost's" J.J. Abrams, has since morphed into a staggeringly complex tale of parallel universes about to go to war with each other, and it's proudly letting its geek flag fly. "Fringe" sort of had to ease into this new direction, as it never would have survived its first episode in its current state -- assuming it would have made it to the air at all. 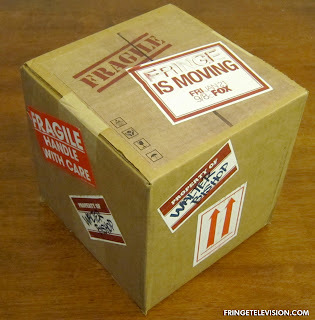 But while the progression has been gradual, "Fringe" has covered so much ground in its two-plus seasons, it would be like "Lost" having gone from "Was that a polar bear?" to "Whaddya mean we're all dead?" in a little over a month. A heartbreaking episode last season revealed that mad scientist Walter Bishop (John Noble) lost his son, Peter, to a rare illness as a child. Looking into the alternate universe through a portal he'd designed, Walter saw that the Peter in that world, being genetically identical to his own, also was dying. 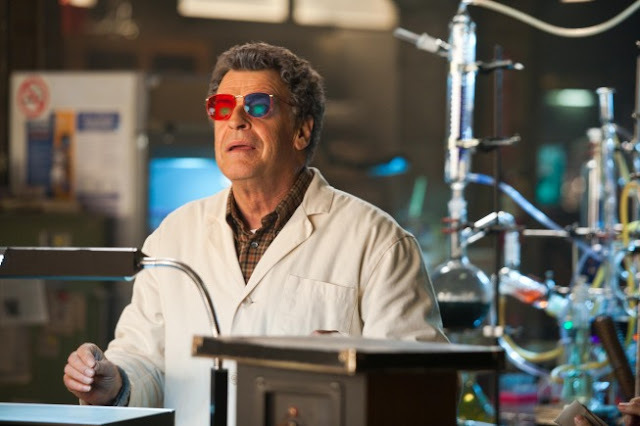 So when Walter discovered the cure, he created a wormhole, traveled to the other universe and brought that Peter to our world to save him. Only once Peter was cured, Walter couldn't bring himself to return the boy that by almost every measure was his son. Ethical issues aside, Walter's meddling created tears that are slowly destroying the other world. Worse, it emboldened that world's Walter, dubbed the Walternate, who is now actively working at the highest levels of government to destroy our universe in the belief that it will save his. Yeah, it's pretty heady stuff. But it plays surprisingly well even for those of us who are fluent in neither Vulcan nor Na'vi. 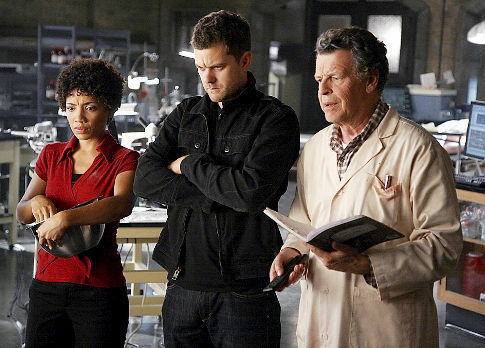 In our world, Fringe Division seems to consist primarily of the doddering former mental patient Walter; Peter (Joshua Jackson); FBI agents Olivia Dunham (Anna Torv) and Astrid Farnsworth (Jasika Nicole); their boss, Phillip Broyles (Lance Reddick); and a cow named Gene. But over there, Fringe Division has eclipsed the now-defunct FBI and is a part of the Department of Defense, run by Walternate with a ruthless streak that would make Donald Rumsfeld look like the Girl Scout other Girl Scouts picked on. It's a fascinating, emotional tale that's improving every week. And now all that's at risk after having been sent to what's commonly referred to as "the death slot." 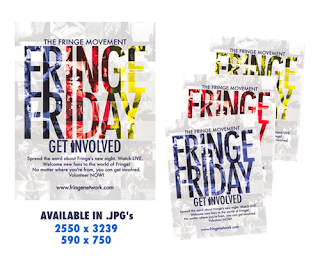 But at least "Fringe" isn't going quietly. 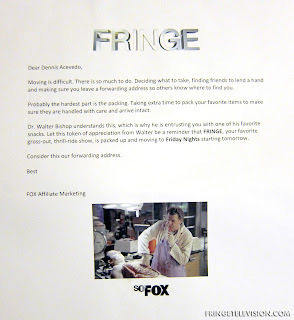 A cheeky promo assembled a string of media quotes bemoaning the show's upheaval, with the tagline "You might think Friday night is dead ... but we're gonna re-animate it" -- an allusion to one of the fringe sciences at the heart of the series. And after learning of the move, producers titled this week's episode "Firefly," an homage to Joss Whedon's late, great Friday night casualty. In announcing the decision, Fox entertainment president Kevin Reilly, who still champions the show, stressed that DVR use already accounts for nearly half the show's audience. 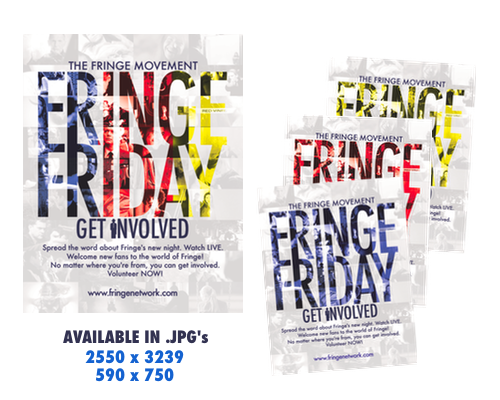 So, in theory, if anybody at all shows up to watch "Fringe" live on Fridays, it could thrive there for years to come. Fox has just released a new sneak peek plus some BTS footage for next week episode. Here's a brand new promo of the show... Enjoy. 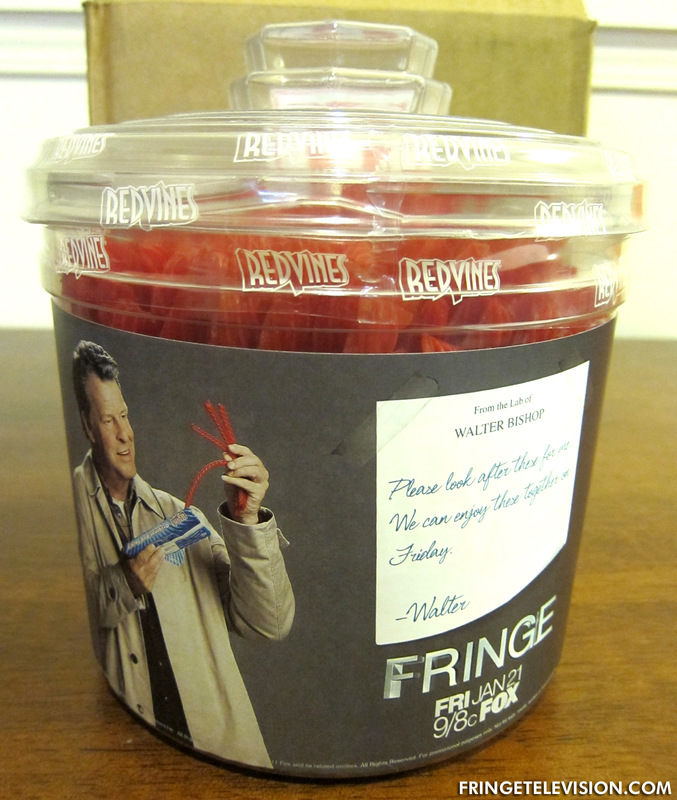 Saturday Night Fringe Reruns Return This Saturday! 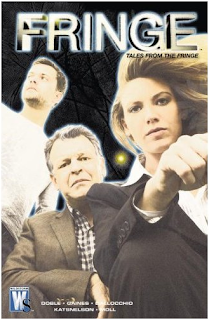 In an unexpected turn of events, Fringe reruns are returning to Saturday nights. 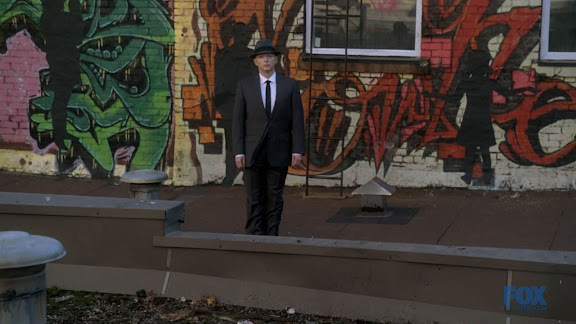 The spot was previously occupied by "The Good Guys", and will give Fringe fans another opportunity to catch new episodes. Since there is no new Fringe episode this week, this Saturday's Fringe rerun will be "Marionette". But starting next week, we will get a new Fringe episodes on Friday nights at 9:00pm, then that episode will air again on Saturdays at 11:00pm. Thanks to CityTv, here's a new promo for next week episode. By day, Lance Reddick is the Fringe Division leader Phillip Broyles, but by night, he is a jazz musician. We got a taste of his musical ability in the Fringe episode Brown Betty, but now Reddick has just released his first album "Contemplations and Remembrances". The album hasn't made it to iTunes yet, but you can buy the CD or digital download at Amazon. 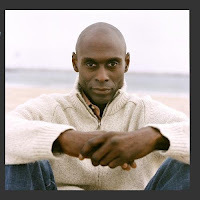 If you want to know more about Lance Reddick and his musical journey, check out his interview with the The LA Times. 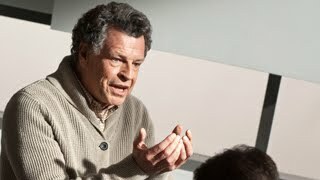 Fringe stars discuss the events of the last few episodes, and how they affect their characters. Interviews with Joshua Jackson (Peter Bishop), Anna Torv (Olivia Dunham), Jasika Nicole (Astrid Farnsworth), Lance Reddick (Phillip Broyles), and Blair Brown (Nina Sharp). For those that don't mind some very mild spoilers, Fringe Spoilers has a new press release for the next episode, which is now titled "The Firefly. Plus there are promotional photos for "The Firefly" and the following episode "Reciprocity".